Dec. 01, 2014 + + + BASF Group company Wintershall is continuing its growth course in Norway. By acquiring shares in the production fields Gjøa (5%) and Vega (24.5%), Wintershall is increasing its production in Norway from about 40,000 barrels of oil equivalent (boe) to about 60,000 boe per day. 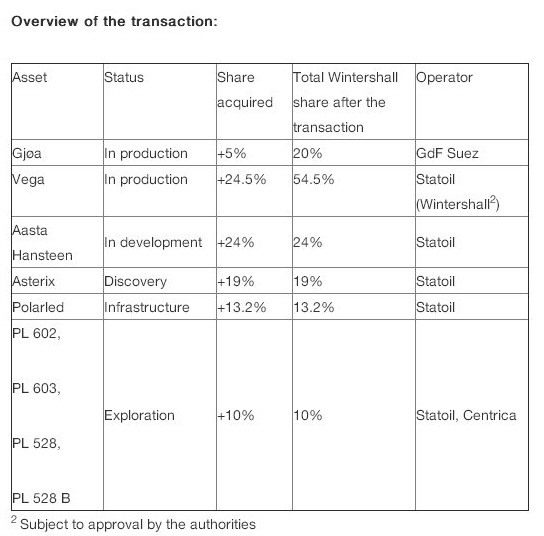 In addition, Wintershall is taking over shares in the Aasta Hansteen development project (24%), the Asterix discovery (19%), the Polarled pipeline project (13.2%) and in four exploration licences near Aasta Hansteen. The shares in the assets encompass reserves and resources (2P/2C) of around 170 million boe. Furthermore, Wintershall will also assume the operatorship of the Vega production field. The transfer of operatorship from Statoil to Wintershall is planned for the end of the first quarter of 2015. 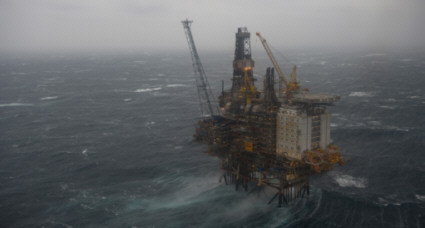 Statoil ASA is an international energy company with operations in 36 countries. Building on 40 years of experience from oil and gas production on the Norwegian continental shelf, it is committed to accommodating the world’s energy needs in a responsible manner, applying technology and creating innovative business solutions. Statoil is headquartered in Stavanger, Norway, with approximately 23,000 employees worldwide, and is listed on the Oslo and New York stock exchanges. Wintershall Holding GmbH, based in Kassel, Germany, is a wholly-owned subsidiary of BASF in Ludwigshafen. The company has been active in the extraction of natural resources for 120 years, and in the exploration and production of crude oil and natural gas for over 80 years. Wintershall focuses on selected core regions where the company has built up a high level of regional and technological expertise. These are Europe, Russia, North Africa, South America, and increasingly the Middle East region. The company wants to expand its business further with exploration and production, selected partnerships, innovation and technological competence. Wintershall employs some 2,500 staff worldwide from 40 nations and is now Germany’s largest, internationally active crude oil and natural gas producer. More information on the Internet at www.wintershall.com or follow us on Twitter, Facebook or YouTube.